After a brief wander ‘round the garden, Chilean-born Ricardo Tobar returns to the ESP Institute bearing earthly delights. With 2017’s "Liturgia", he introduced his creative point-of-view—instantly substantiating a sense of rhythm that was deliberately complex yet slightly rough around the edges, while touching upon his musical origins from the guitar-driven corners of psychedelia— however with his debut 2xLP "Continuidad", he leaves us gobsmacked and seeking shelter as he leaps from dancefloor comforts and descends into absolute chaos (in more ways than one). Emotionally, the artist has crossed all previously self-imposed and subconscious thresholds, putting his true imagination on display and exposing an unwavering attraction to all things loud, orgasmic and transcendent. He’s not subtly hinting at a fetish, but opening his arms wide with conviction, abandoning genre taboos and personally inviting everyone to join his enchanted caravan. Sonically, his appetite for intensity is clear throughout—epic chord changes, ascending peaks in arrangement, accumulating layers of grit that build into impenetrable blankets of distortion and feedback—a kind of aural hedonism that translates visually into the potent video abstractions our Mario Hugo has summoned for the album’s packaging. 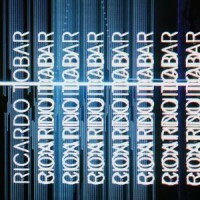 This might all sound like a warning for Hurricane Ricardo, but fear not, listeners will still find some security in the album’s rhythmic underpinnings, and although this foray into primitive, ritualistic bang-the-drum percussion is significantly more dangerous than his previous programming, its the imperfection in his passionate studio performances that imbue Continuidad with something remarkably human.